The faculty and staff of TMI are unparalleled. TMI prides itself in providing instructors who model lifelong learning. Through experience and education, they have enormous expertise in the areas they teach. Our wealth of experience includes working with children, educators of young children and adult learners. Cumulatively, we share over 100 years of effective teaching experience. We work to ensure the team and the program continues to evolve in order to best facilitate each student’s success now and in the years to come as teachers. Every member of the TMI team is committed to accommodating the needs of the many schools we work with as employers. Most importantly, we are committed to accommodating the needs of each of our students as individuals. 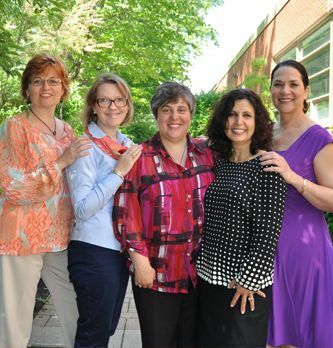 TMI faculty and staff embody the Montessori ideals by providing a supportive and integrated learning environment. Caring professionals know each individual student and work to ensure your success. Working collaboratively with other experts in the field, TMI’s faculty and staff are a dedicated and full-time team of professionals who consistently deliver strong and internationally recognized accredited programs that prepare you for the workplace.